Silicon Valley Microsoft- Once upon a time, Silicon Valley start-ups were afraid of Microsoft, or scorned it as irrelevant. That’s changed under Satya Nadella, according to investor Ben Horowitz, whose firm Andreessen Horowitz just co-invested alongside Microsoft in Databricks, a start-up with software for processing large-scale data inpublic clouds. Microsoft is “truly an outstandingly good partner, which is really an amazing thing, just because if you go back to the ’90s, Microsoft didn’t have that reputation,” Horowitz said. In addition to changing the company’s track record, Nadella has also rebuilt the company’s bench of product leaders after it emptied out under former CEO Steve Ballmer, Horowitz said. The relationship between Databricks and Microsoft dates to 2016, when Horowitz sent an email about the company to Nadella. 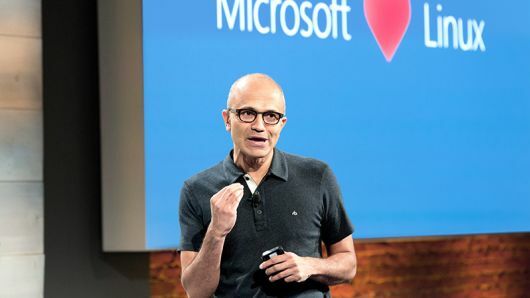 Nadella grasped the importance of having data in the same place as the software that will process it, and his team understood how well it could handle lots of different kinds of data, Horowitz said. “You have to just give him credit for seeing it,” Horowitz said. Microsoft employees then did the work to make sure that the Databricks software, which draws on the Apache Spark open-source project, works well with Azure, and got its salespeople prepared to sell the technology. The resulting collaboration was one-of-a-kind — Microsoft offers a cloud service with “Databricks” in the name, but Databricks is the one that’s running it, said Databricks CEO Ali Ghodsi. Sometime in the second half of 2018 — Ghodsi wouldn’t say exactly when — he had dinner at Nadella’s house. He came away as impressed as Horowitz. Ghodsi and the Databricks board recognized what Microsoft had already contributed and decided to give Microsoft a chance to invest in the latest round, Horowitz said.